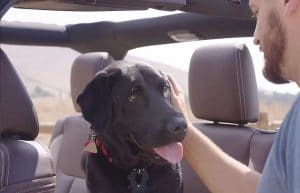 Seat covers are responsible for protecting seats from spilled chemicals, coffee, and muddy pet paws. Moreover, they elevate the interior design of your vehicle when they are properly matched with the design of your vehicle and your preferred style. 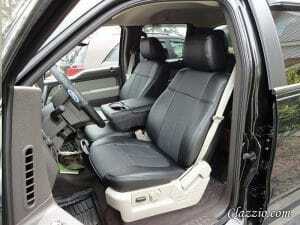 Finding the best f150 seat covers for your vehicle, therefore, is not something you can take lightly. This is because there are so many options available in the market, and this makes the whole process a bit tricky and challenging. With the right information, however, the entire buying process can be even easier than you may imagine. You, therefore, have come to the right place if you have been looking to change your f150’s seat covers but you didn’t know where to start from. This is because we have researched and compiled helpful information that will enable you to identify and find the right seat cover in the market. We have also compiled a list of top 5 best f150 seat covers that you could consider buying. Without further ado, let’s move ahead to present our list! 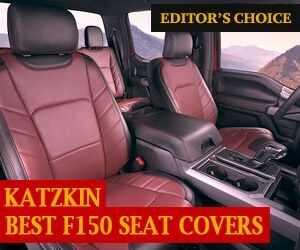 Katzkin seat cover is specially designed for the Ford F-150 released from 2015 to 2018. 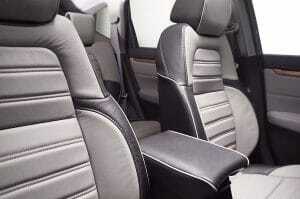 As such, if you are looking for excellent leather seat covers; these covers might be your ideal choice. This is because Katzkin makes premium leather seat covers designed to transform your Ford F-150. The Katzkin seat covers are built to mimic the leather content of factory covers. It is made to cover the front and the rear parts of the seats. The headrest and the front middle jump seat parts are also covered. However, if your seat doesn’t come with the jump seat, you don’t have to use these parts. This seat cover is customized and handcrafted to totally replace your Ford F-150 cloth seats. As pointed above, the seat covers are manufactured to mimic the leather content of the factory covers. This implies that the front faces feature leather fabrics while the rear seat inserts are made from leather materials. However, the remaining parts feature automotive grade vinyl. If you fancy leather seat covers that are easy to clean while offering you extra-protection, then this might be your preferred choice. When it comes to installation, the process is simple and straight forward. When fitting these seat covers you have to first remove the original factory-installed cloth. After that, you could install this custom designed leather cover to enjoy the total transformation of your car. Professional installation is required since the process entails the removal of seat cloth before installing the cover for a perfect fitting. If you are looking for an original leather seat covers for your Ford F-150, this might be an ideal choice because it comes with a variety of over 120 colors and multiple trim options from which you could select your most favorite. 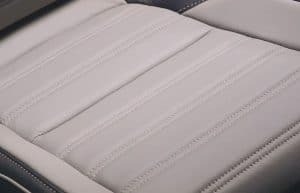 If you are looking for a Ford F-150 seat cover that gives you an easy installation, the Clazzio leather seat cover could be the best bet for you. In fact, it only takes about 2 to 3 hours to get it fitted on your seat. This is because it comes with a custom fit that always allows you to enjoy a perfect fitting. This seat cover model comes with an outer panel and center panel that feature different materials. The center panel features genuine perforated cow leather that gives the cover and the sitting area a soft and smooth touch with unmatched comfort. On the other hand, the outer panel comes with a PVC material that makes the seat cover elastic and even tighter when fitted. This seat cover doesn’t require professional installation. It is among the easiest covers to install, which means that you can fit them on your own. Its attaching techniques use belts, elastic straps, and even plastic hooks. Nonetheless, this will depend on the vehicle model. For easy installation process, it comes with a manual instruction with a complete installation procedure complete with detailed photos. It is no doubt you can make a perfect fit on your own. What’s more, all the tools required for installation come with the kit. Safety is also guaranteed when you are installing the seat cover. The cover is also compatible with seat airbags. The thread that is used for stitching over the airbag is designed to quickly break in case the side airbag is deployed. This seat cover is custom designed to offer a perfect fit to the F-150. It features a double stitching design throughout to ensure it is durable while providing a firm fitting. It also comes in various colors to accommodate various personal preferences. As a result, this might be the best choice for you if you are looking for a custom fit seat cover that is easy to install without professional assistance. Durafit seat covers are specially designed for people looking for extremely durable and waterproof seat covers to protect their seats. This cover is ideal for off-road enthusiasts who love getting messy with their vehicles. This seat cover is made from heavy-duty Endura material. This is a tightly woven material that is made up of extremely long lasting polyester. This fabric is responsible for the covers water resistant abilities as well as pet proof. This material is ideal for industrial and open to vehicle use. Basically, the Endura provides full protection for your vehicle’s interior even though it is stiffer as compared to other materials used to make seat covers. 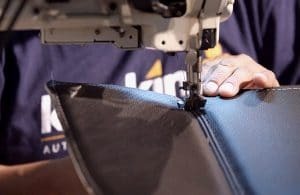 The installation of Durafit seat covers is simple since they come with a manual that details the installation process. Additionally, the process will depend on which model you are installing them. Regardless, the installation process requires you to just fit the covers with the original cloth intact since the cover comes with elastic straps to hold them into place once installed. These seat covers are manufactured from extremely durable materials that guarantee them durability once installed. Moreover, they are stain and UV resistant with industrial strength. So, if you want durable and washable seat covers for your F-150, then the Durafit seat covers are your ideal choice. With each purchase, you also stand a chance to enjoy a one year warranty. The Exact Seat Covers are made to benefit those who want an excellent seat cover but at a reasonable price. If you are working on a tight budget but still wants a high-quality cover, this might be your ideal pick since it comes at an amazingly affordable price. The Exact seat cover is designed from a low maintenance Endura material. Besides being long lasting, the covers also offer water and spill-proof capabilities. With this material, you can be sure to enjoy long term protection against dirt, wear, and tear. This cover is designed to perfectly fit Ford F-150s released from 2009 to 2011. It comes with opening panels for airbag deployment. It is made to cover both sides with headrest covers. Furthermore, their design provides an easy installation process that involves just slipping over the existing upholstery. If you are looking for a cover that falls within your budget limits, this model might be your best choice. This is yet another reasonably priced seat cover designed to correspond to your Ford F-150’s seat specifications perfectly. It is ideal for people looking for a superior design not only for comfort but also for aesthetic value. This cover is made from tough neoprene fabric that is durable. It also offers waterproof capabilities to ensure your seats are always protected from water damage. Additionally, the Neoprene material is UV resistant, which means that it doesn’t decolorize or crack when exposed to strong sunlight. Undoubtedly, the neoprene material is of high-quality and can provide maximum protection to your seat for many years. The installation procedure is very simple. No modification is required here- not even cutting. You can be through with the installation within fifteen minutes. This is because it is designed to fit on your F-150’s front seats perfectly without a hassle. Besides enjoying the perfect fitting, you also stand to benefit from unmatched comfort that this seat cover comes with. This is because it is padded to provide additional comfort even when driving on off-road terrain. Moreover, it comes with a cool gray color to deliver elegance to your interior appearance. What do seat covers do? 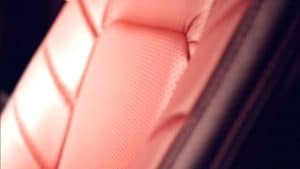 Seat covers may seem to be an aesthetic auto accessory on the surface although they come with greater protection benefits that can save you some hundreds of dollars in repair and reupholsters’ costs. Here are some of the benefits of seat covers. Water, chemicals, and other liquids can leave a permanent mark once they spill on your uncovered seat, which eventually compromises your vehicle’s interior appearance. These liquids can also be destructive to your seats, especially if yours are made of leather. Water, for instance, produces an unsightly mold that produces a stench in your vehicle while damaging the interior looks. If you frequent the beach for swimming sessions, get your seats waterproof seat covers to prevent moisture and water from spoiling or tarnishing your seats. If you commonly drive with your pet on your seats, it may end up tearing your seat with its sharp claws. Moreover, they can damage the seats with their muddy paws and hair. In order to avoid all these, you can equip your seats with seat covers. The UV rays from the sun can do great damage to your vehicle’s seats and interior. Continued exposure to the sun will bring about fading while making your seat more vulnerable to wear and tear. In order to prevent this, you can get suitable seat covers to protect your seats. You could even go for those treated to resist UV rays. You can also use seat covers to protect against daily wear that is caused by frequent friction when the seat is in use. Bear in mind that even the delicate body parts can cause wear to your seats. The more you drive, the more vulnerable your seats are to wear and tear. With the seat covers, however, you don’t have to worry. Most car owners are always keen on protecting their cars because it is an important investment. 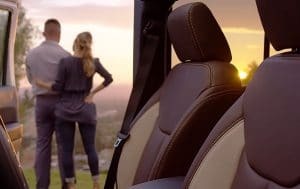 Installing seat covers on your car seats can significantly help in protecting and maintaining the value of your Ford at a higher level. When you decide to sell the car, you can be sure to get more for it as compared to what you might get for a car with unprotected seats. When your truck looks elegant, you will definitely feel good about it. In fact, you can drive it with confidence. 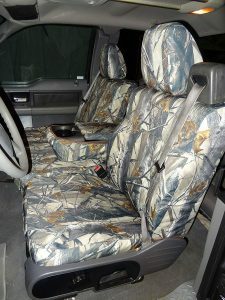 Custom seat covers will allow you to beautify your truck according to your preference and style. 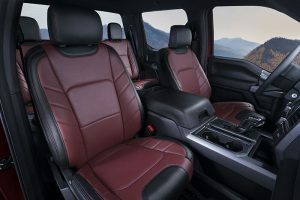 When it comes to buying f150 seat covers, the challenge is often what to look out for in order to be sure you are getting the best seat cover for your truck. If you have difficulties finding the best seat cover, then it is time to review what goes into the best f150 seat covers. 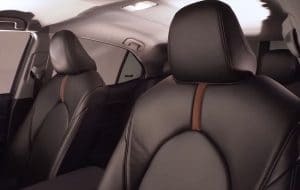 Before you spend money on seat covers for your vehicle, you will need to pay attention to the material used to make them. 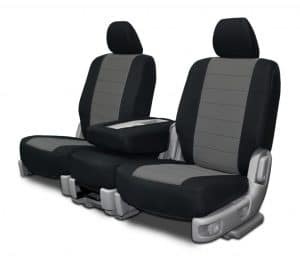 This is because you will find dozens of materials that manufacturers are using to make seat covers, and each one of them has its own attributes. Here are some of the materials we reviewed. We believe that considering them can help you make an informed decision of purchase. Even though it is not the most comfortable material for making seat covers, Ballistic nylon fabric provides your seats with heavy-duty protection against water elements and UV damage. This material also offers some of the most durable covers that you can find in the market. Furthermore, it can effectively take on the messes like chemicals and drink spills, muddy pet paws, and sweat. If you want durability, therefore, this might be your right choice. This material has been lauded by most manufacturers as the best waterproof seat cover you can have for your vehicle’s seats. Neoprene seat covers offer total protection against any water damage and might be a great choice for off-road enthusiasts where the terrain is a bit messy. Most Jeep seat covers are made from this fabric. This fabric is a top choice for those who prefer extra-comfort from an extra-soft fabric. It features a plush knitted cotton or polyester. The material, however, does not come with commendable waterproof abilities. As a result, it is only ideal for drivers who are only looking for style and added comfort. If comfort and style are your definition of a great seat cover, then Velour might be your ideal pick. Leather seat covers are popular for offering unmatched protection to your seat. Even though leather doesn’t offer waterproof abilities, it makes most of the spills to stay on the surface, thus making it easy for you to wipe the surface clean. 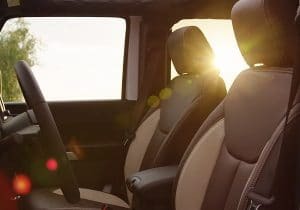 However, leather seats can become sticky during the hot days thus more vulnerable to wear as compared to other materials. This is one of the most cost-effective seat cover materials that you will find in the market. Seat covers made from suede are sturdy and not prone to wear and tear. It is also not resistant to water damage or UV rays. If you fancy suede seat covers, then make sure you get those that are treated with weather-resistant elements. This material is for people who are looking for durable seat covers that come with a rugged look. Saddle blanket seat covers come with a tightly woven fabric that withstands heavy-duty use in addition to being easy to clean. If you are looking for a seat cover that will give you comfort, style, and durability at a strike, then saddle blanket might be what you are looking for. This material makes seat covers that provide the same comfort as Velour material does. However, it is a bit more resistant to wear and tear and won’t stain easily. It also offers a textured touch to your seat. If you want a textured pattern for your car’s interior, therefore, then tweed is your right choice. When shopping for f150 seat covers, it is important to consider a design that matches your taste and lifestyle. For people whose vehicles double up as a home office, try to strike a balance between durability and comfort. But if you will be taking a lot of commutes every day, it is important to consider a durable and comfortable seat cover for extra comfort and support. If you are looking for a seamless look that perfectly fits you f150 seats, then custom seat covers would be ideal for you. Custom seat covers are tailored to fit the dimensions of your f150’s seats perfectly in order to protect every part of the seat. The covers, therefore, will cover every inch of your seats right from the headrest to the armrest and to the center. Custom seat covers are absolutely great, but if you are operating on a tight budget, you might want to settle for the semi-custom seat covers as an alternative. This is because they offer you the same protection as the custom seat covers but at a reasonable cost. Even though you may lose some elegance, they will serve you just fine. Durability is an important aspect to consider when it comes to buying a seat cover. You definitely don’t want to be in the market any time soon in search of a seat cover again. You can avoid going back to the market soon by considering durability in your purchase. Durability is often dictated by the material used to make the seat cover. As such, choose materials that are truly durable and appealing to your style. Besides picking your best F150 seat covers based on material, design, fit, and durability, the price is also another crucial factor that determines the kind of seat cover you will eventually fit in your vehicle. Seat covers feature price tags that depend on the brand, model, material, and style of the covers. When shopping for seat covers, therefore, it is important to choose a seat cover that is appealing and reasonably priced. Don’t go for the cheapest seat cover since it may not last long while the most expensive one might not even be worth the price. 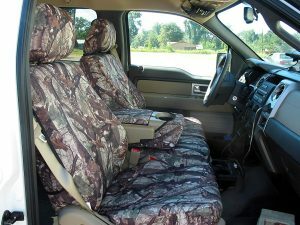 Drivers endeavor to protect the interior of their trucks from stains, dirt, mud, and even pet claws by installing seat covers. 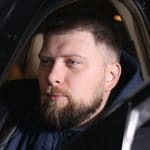 If you are planning to join this group of drivers, you need to consider the aspects that go into the best F-150 seat covers because they will ensure you make a satisfactory purchase. Protecting your Ford F-150 seats is something you shouldn’t take lightly. For more information on seat covers and similar products that we will review in the future, make sure you subscribe to our blog page for updates.